Hi there, my darlings! A gorgeous morning in NYC has given way to an even more beautiful afternoon, with temperatures hovering near the high 70s and the sun shining in all its glory! Dare I say it? Is Spring finally on its way? Spring for me means brighter, bolder colors, more social interaction and just more activity in general. If you're like me, then you know that a fabulous pair of sunglasses and a great, bold lip is often all you need to feel ready to take Spring by the horns. Still searching for the perfect Spring lippie? Well, you're in luck! 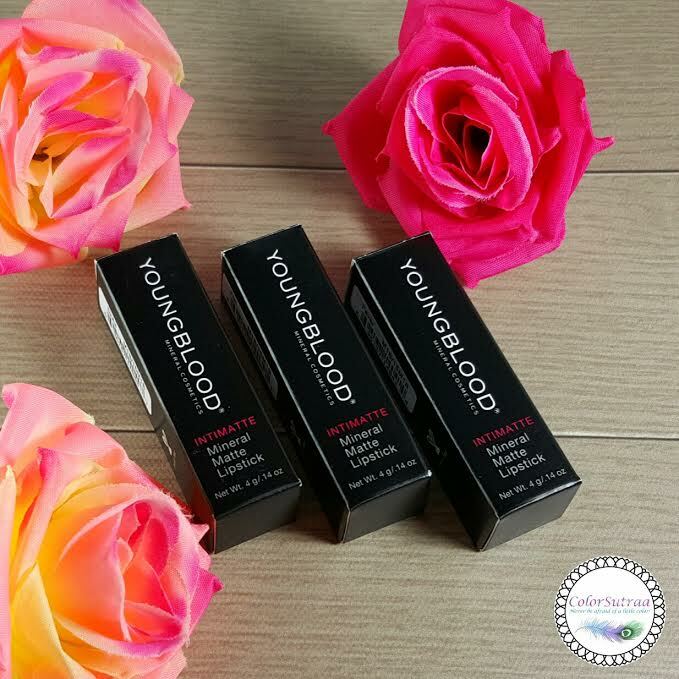 Youngblood has a few that's sure to hit the spot! 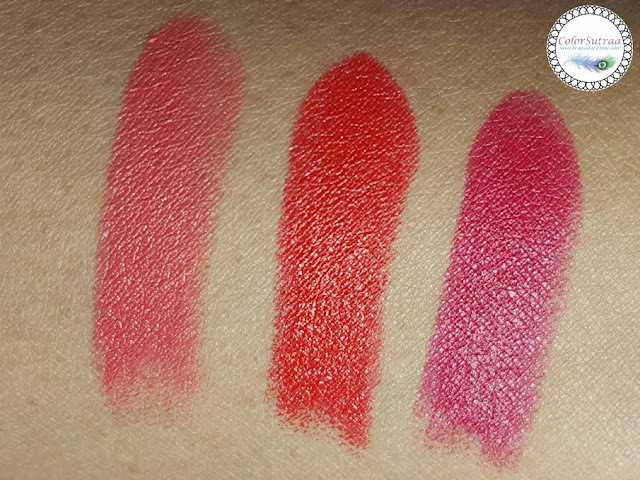 These super-rich, on trend, perfectly matte lipsticks provide high-impact payoff and are ultra-pigmented. 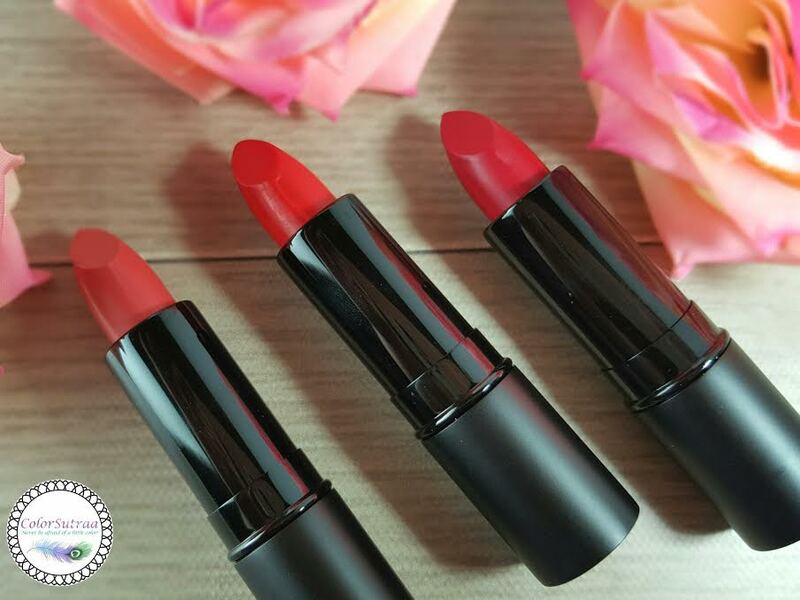 Enriched with emollients and Vitamin E, each luxurious shade glides on effortlessly with a beautiful matte finish. 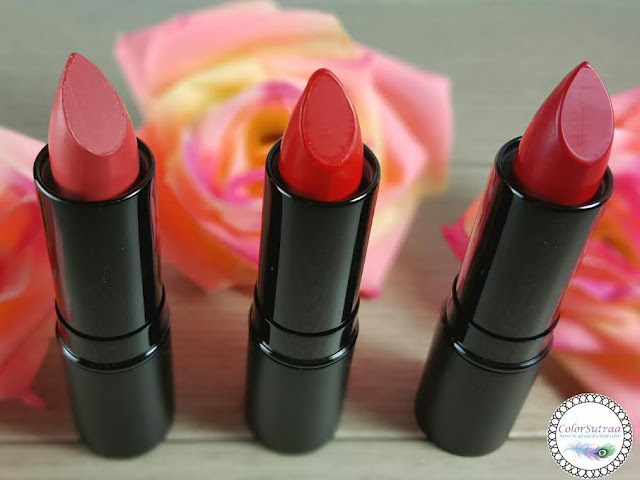 Available in 9 shades, I have 3 to share with you all that's just perfect for a gorgeous day like today...or for a fun night out! 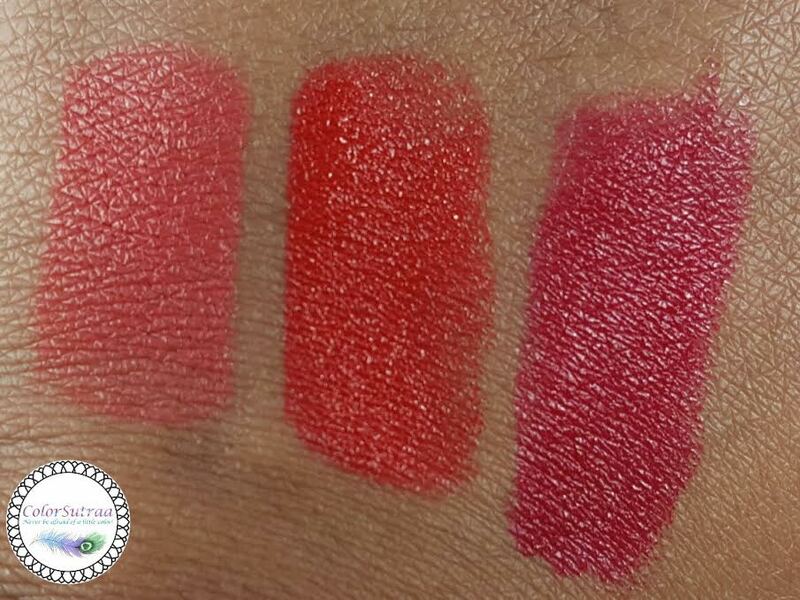 IMPRESSIONS : Super pigmented and vibrant, I was actually quite surprised with how smoothly these lippies went on. A quick couple of swipes gives you a huge color pay-out and the formula is not nearly as drying as some mattes I've tried--in fact, I did feel like I needed to blot the colors a little since they remained a little creamier than I'm used to with mattes. But, I prefer a slightly less matte formula, so as to say, than one that is too dry or flakes off. I didn't have that problem with Sinful, which I wore all day one day--i did have to re-apply but that was after eating or drinking something particularly messy. As for the shades. I can honestly say, I'd probably wear every single one of the three shown below! My favorite? Sinful for sure! I like the berry hue to the red--it's such a "ME" shade! But I was kinda surprised by how much I ended up liking Flirt--I'm not one for muted colors but that coral is so fresh and pretty! So there you have it, my darlings! 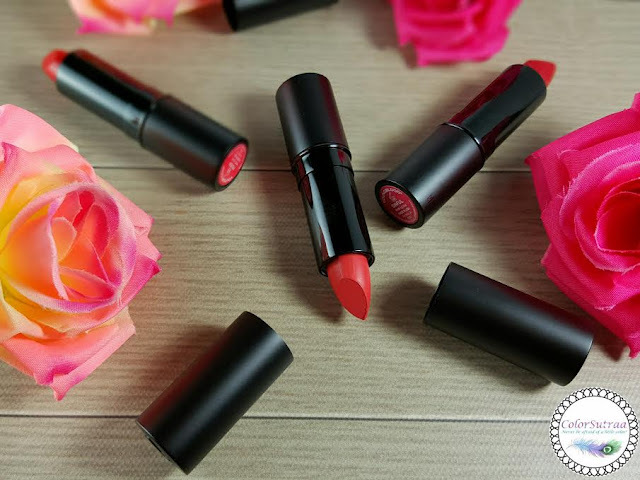 If you would like to check out what other lippies Youngblood has to offer, you can find her HERE--each IntiMatte lipstick is priced at $!9.. Which of these products did YOU like best? Are you feeling Rose Quartz or Serenity more this year? I'd love to hear your opinions in the comments section below! These are so beautiful! I am especially drawn to Sinful! Those are beautiful. The colors are darker than I wear but I admire them a lot. These look so pretty and I'm happy to hear they aren't too matte. I can't wait to try them! Pretty lippies, especially Flirt. I keep hearing great things about Youngblood. These look amazing! I think Flirt is my favourite. Gorgeous lippie shades ;) Amazing. NEW INDIE FEATURE GIVEAWAY with KATHLEEN & CO.